No Signal On Your Phone? Sometimes for no reason at all there is no signal on your mobile phone. It could be that you are in an area where the signal is very bad, it may be there is a temporary problem with your nearest cell tower but sometimes the signal just drops off and does not come back. There are a few things you can do to try to get your signal so you can make a call. Try moving around. It is possible that you have a dead spot in your house where there is just no signal at all, but a few steps either side you might have full signal bars. Stand near to windows and doors to see if that makes a difference. It may be that you will have to go outside to get a signal. If the lack of signal is a constant problem then you may need to change your network provider. It could be that your current provider no longer covers the region where you live, or has reduced the number of cell towers they have in the area so coverage will become intermittent. If you find that this is happening to you, call your network provider to see if they have made any changes to their coverage. 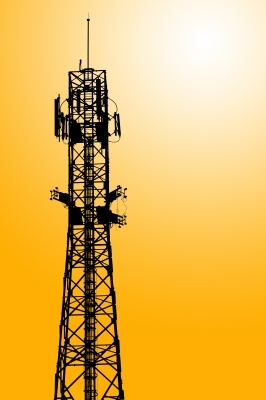 If they have and the changes are temporary, maybe work is being done to your local tower, and then they may be able to offer compensation for the lack of network availability. If the change is going to be long term, explain to them that you will need to change your provider and check to see what notice period is required to end your contract. You can also try manually searching for your network. This is done through the menus of your phone, but depending on the brand and the model, the instructions will vary. In your menu there will be a settings icon. In there should be a network option. By clicking on the select network option you will be given the choice of Automatic or manual. Choose the manual option and the phone will search for all available networks in your area. Once the networks come up, choose your provider and the signal should return to your phone. This is also used to find a network when aboard if one is not automatically selected on arrival in your destination country. If you check with your network provider before travelling, they will have a list of rates for calls and texts from abroad and the network available. That way when choosing the networks you will already know which one offers the best deals. If you have tried everything and still have no satisfactory signal then changing provider is really easy. If you are still in contract you may be able to come to some arrangement with your current provider, particularly if the signal problems are their fault. If your contract has expired then you can give notice and join with your new network at your own convenience. Just ask your old network for a PAC number and you can then port your number to the new network provider so that business contacts, family and friends do not need to learn your new number. Phil Turner has always found that getting a PAC number from his network has been very simple and he changes his network whenever he finds a better deal.